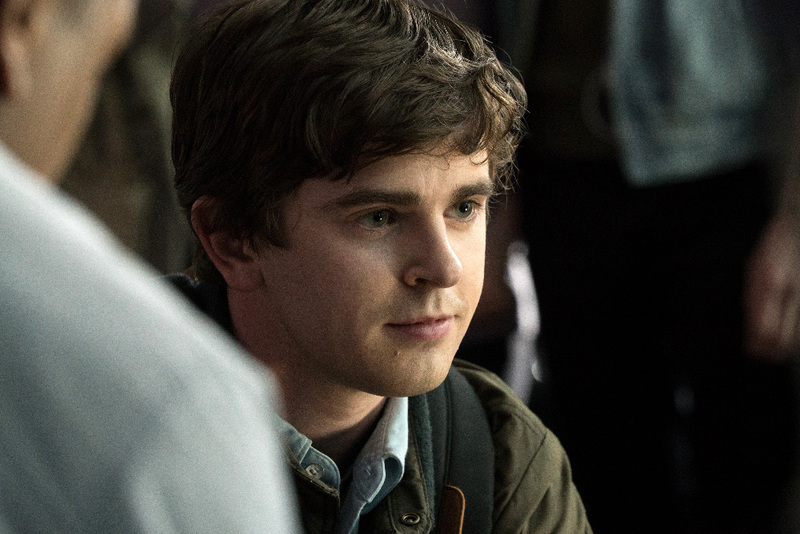 Bates Motel’s Freddie Highmore has already moved in on a new TV series which will air on Mondays this Fall on ABC. Shaun Murphy (Freddie Highmore, “Bates Motel”), a young surgeon with autism and savant syndrome, relocates from a quiet country life to join a prestigious hospital’s surgical unit. Alone in the world and unable to personally connect with those around him, Shaun uses his extraordinary medical gifts to save lives and challenge the skepticism of his colleagues. The series is from David Shore (“House”), and “Lost” and “Hawaii Five-O” star Daniel Dae Kim. A “first look” teaser trailer and some preview images can be found below; a longer trailer will be available later today. The series stars Freddie Highmore as Dr. Shaun Murphy, Antonia Thomas as Dr. Claire Brown, Nicholas Gonzalez as Dr. Neal Melendez, Chuku Modu as Dr. Jared Kalu, Beau Garrett as Jessica Preston, Hill Harper as Dr. Marcus Andrews and Richard Schiff as Dr. Aaron Glassman. The Good Doctor is from Sony Pictures Television and ABC Studios. David Shore is writer and executive producer. Daniel Dae Kim, David Kim and Sebastian Lee are also executive producers. Seth Gordon directed the pilot and is also an executive producer.